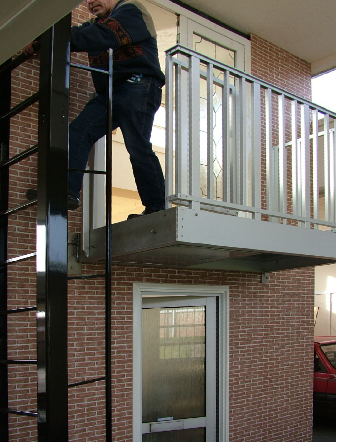 a secure fire escape ladder that can also be used as a means of access for maintenance personnel. and dampen the movement of the moving parts. The side guard rail is opened by hand.